It is with great sadness to announce the passing of HAA member Bill Taylor who served on HAA Council and provided great support for the Association for many years. Bill, aged 67, passed away on Friday 13th April 2018 after a period of illness. Bill joined the RAF as an Aircraft Technician Apprentice at Halton in 1967. In 1973 he was commissioned as an Engineer Officer and served in the UK and Germany on aircraft types such as the Buccaneer, Hunter, Hawk, Harrier, Jaguar and Tornado. From 1998 to 2001, he was the Group Captain Engineer on the staff of the Headquarters Training Group Defence Agency, responsible for the engineering standards and maintenance of all RAF training aircraft fleets, including the Bulldog phase-out. 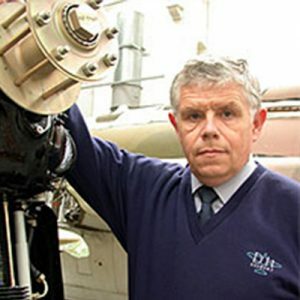 An active member of the de Havilland Moth Club since 1975, Bill was involved in the negotiations that resulted in the formation of de Havilland Support Ltd along with Stuart McKay. He retired from the RAF in April 2001 to work full time for the company. Based at Duxford they took over design responsibility from British Aerospace for civilian-certified former de Havilland types including the Tiger Moth and Chipmunk, as well as subsequently supporting aircraft such as the Beagle Pup and Scottish Aviation Bulldog. They also provide support to the RAF’s Battle of Britain Memorial Flight. In addition to Bill’s flying and aircraft restoration activities, he also had a deep interest in classic tractors and commercial vehicles, owning and restoring several rare examples. He has written numerous books on aviation and RAF history and was a regular contributor of articles to magazines and journals. Bill has been an invaluable member of the HAA and served HAA Council providing wise counsel and deep engineering knowledge to the benefit of many. His illness had sadly prevented his participation in the HAA recently and his loss will be greatly felt. Our deepest condolences go to his family, friends and colleagues.